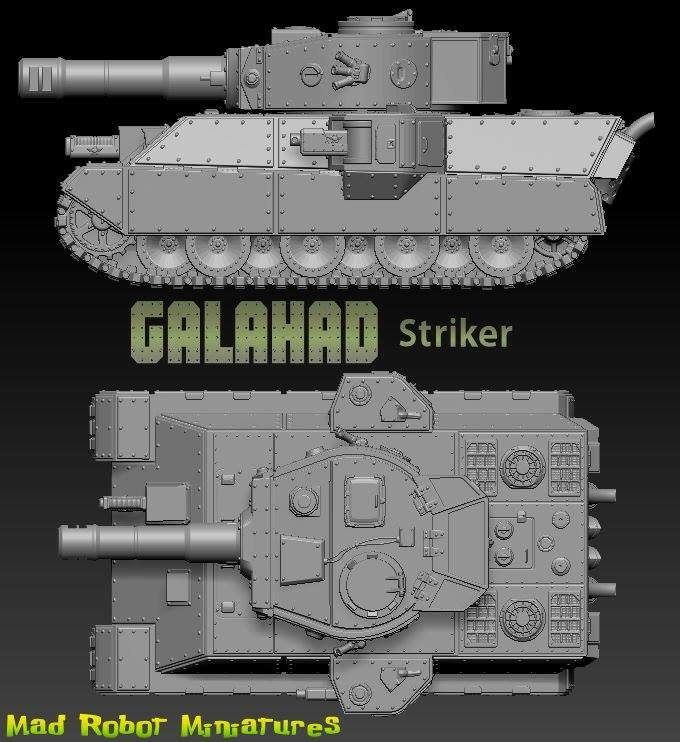 I want to share some new renders of the Galahad Battle Tank. 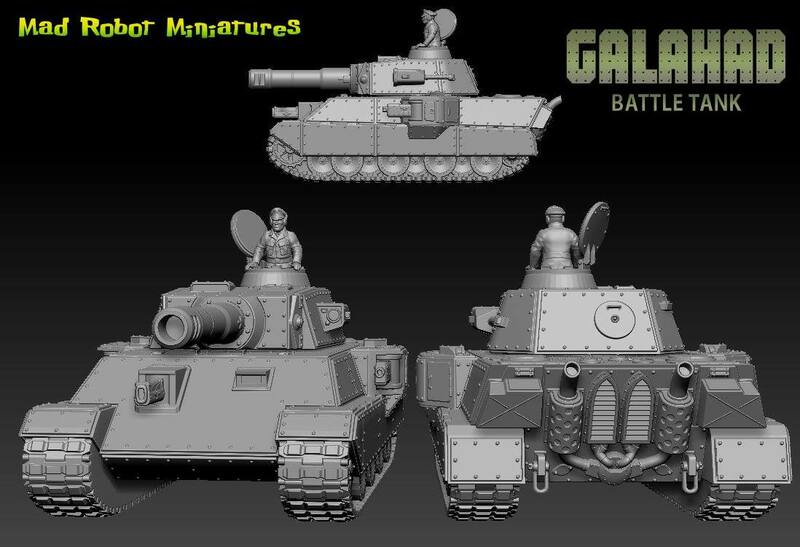 The kit will come with your choice of one of 3 different turrets. 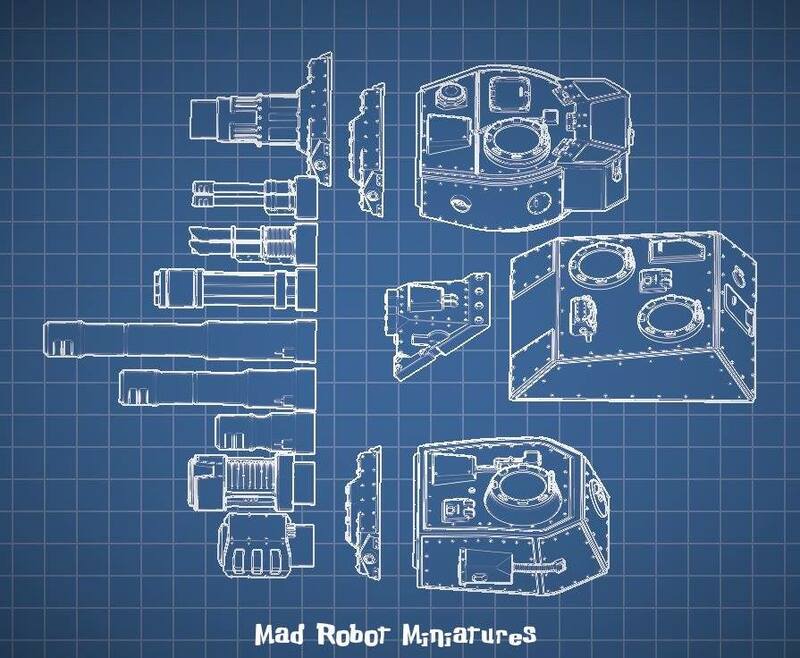 There will be a full compliment of turret weapons as well as removable sponsons and several weapon options for those. 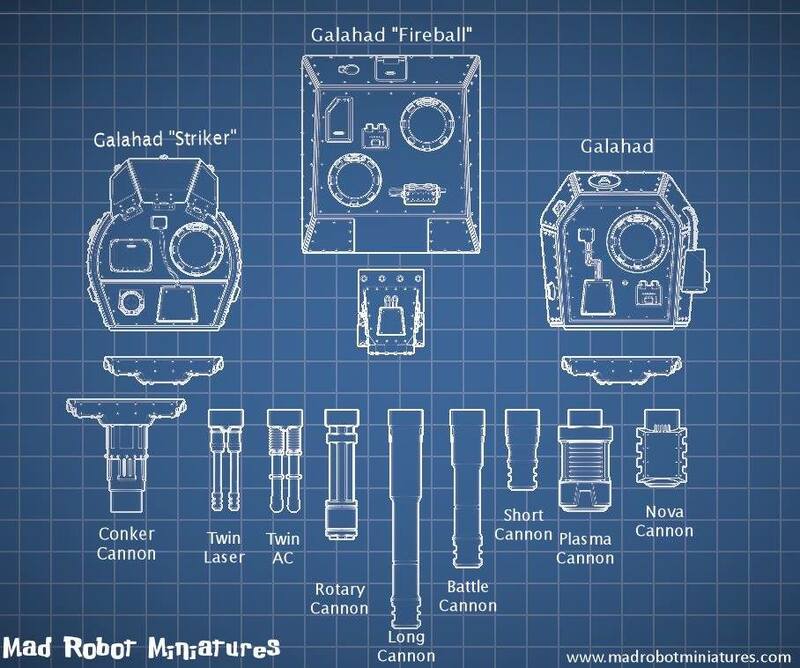 These are still WIP so not everything is completely finalized. 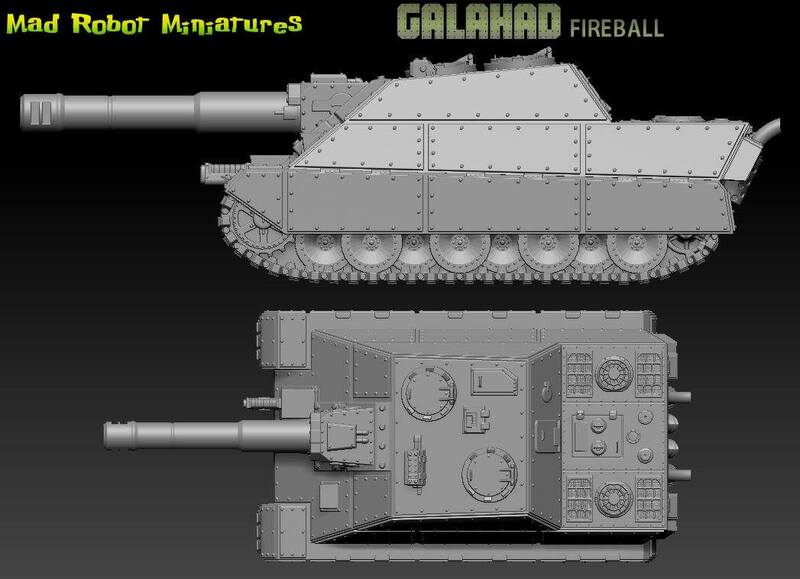 I will be sharing more pics as I continue to finalize the models. I am planning the Kickstarter for late May, if you have questions feel free to ask but my answers may be a bit ambiguous, lol. Having some fun with the new render presets in Zbrush.